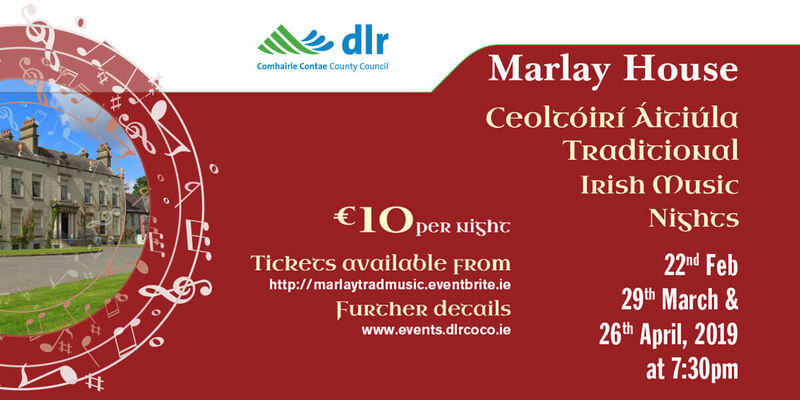 dlr Heritage Events are delighted to host three evenings of Local Traditional Irish Music and Song from award winning Local traditional musicians in the wonderful setting of Marlay House. If this event does not sell out, there will be a limited number of tickets available at the door each evening. Friday 26/4/2019 – Cathal Croke (Uilleann Pipes)/ Colm Ó Coisdealbha and Brian Dillon (Folk Singing).